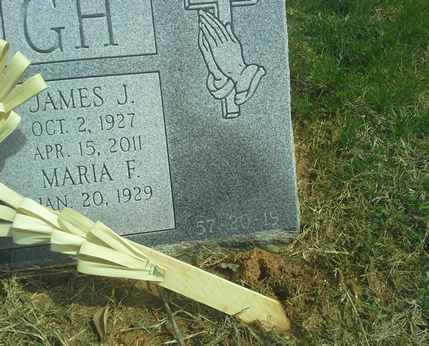 Memorials by Design offers you a combination of quality, service, and value that is unmatched anywhere. Would you rather believe the words of a salesman, or your own eyes? Which one would you rather have for about the same price? 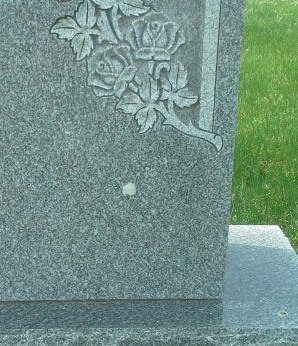 The dark stains are what happen to poor quality memorials, yet this inferior quality is sold through funeral homes, cemeteries, and retailers quite often. Be aware of what you are buying. The following is an accurate description of the current monument industry. Nothing is embellished. We are offering you just factual information. 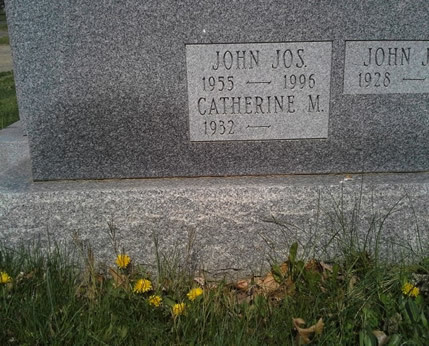 In most instances your cemetery or funeral home will try to get you to purchase your monument through them or someone they recommend. They DO NOT want you to shop around. They will do or say almost anything so you do not look elsewhere, especially those pesky tele-marketers. 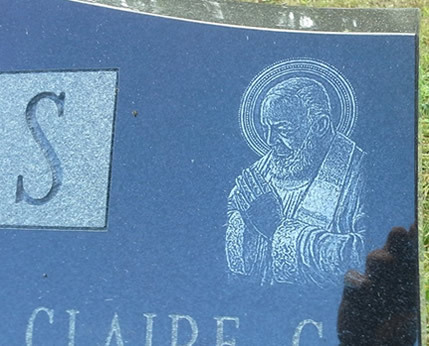 Memorials by Design will enable you to avoid the monopoly and get a better quality at a better price. Be fully aware of the reputation of the company you select. Do you know what companies have been investigated by channel 10 and channel 29 news? Do you know what companies have had complaints filed against them with The Attorney General? Do you know what companies will make you wait a year, or more, for your monument to be installed? Memorials by Design has a spotless reputation. Do you really feel you can trust a company that calls you on the phone within days of the funeral? Have you ever benefitted, even once in your life, from someone trying to sell you something over the phone?, No !! The monument tele-marketers will say something like “the funeral director told me to call”, “we are authorized/approved by the cemetery” or some other bogus sales pitch to prevent you from looking elsewhere. Do yourself and your family justice and shop around. There are companies that want you to believe they are bigger or more experienced than they actually are. Do you really feel you can trust a company that claims to have locations that only exist on paper? Do a small amount of research before you write that check. They may say “we have this many locations”, and if you can find them all, please let us know where they are. Memorials by Design is one of a small hand full of companies that actually own equipment. We have complete control over the delivery and installation of our products. The vast majority of monument retailers rely on subcontractors for installations and delivery. Memorials by Design is much more reliable. The monument industry has become flooded with inexpensive imports from China and India in the last decade. Be aware of what you are paying for. If it is an import it should cost significantly less than if it were American made. But, there are companies that actually carve counterfeit logos on imported monuments to make you think they are made in the U.S.A.. Is that unreal? Please be careful. There are so many new companies coming into the business that it is hard to keep count. 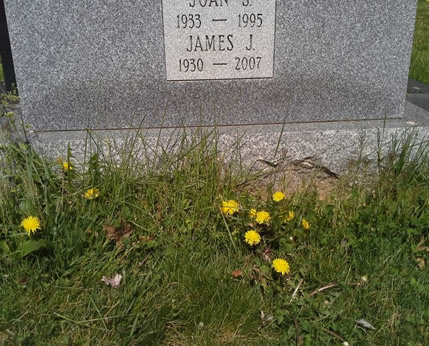 Everyone from florists, to funeral homes, right down to the guy who mows the lawn at your cemetery may shove a business card in your hand. They are all trying to make a quick buck selling monuments. Would you rather deal with an experienced professional, or someone who just sells monuments as a part time hobby? 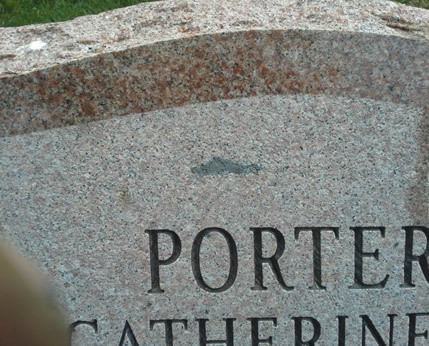 You deserve the best, call Memorials by Design today. 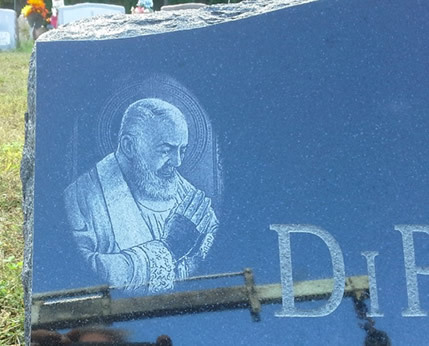 If you want to get the very best quality money can buy, experienced advice and guidance, very competitive pricing, timely delivery, and expert installation, the choice is clear, choose Memorials by Design.